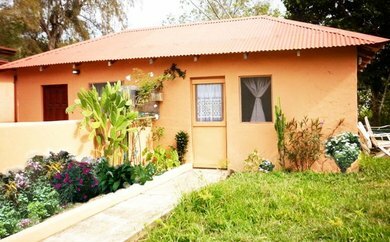 All guests stay in a private one bedroom cottage with their own refrigerator, small living room, bathroom, and shower. Ample closet space is provided along with a dresser for storing clothes. We also have two beds in the bedroom, as many guests decide to visit together.